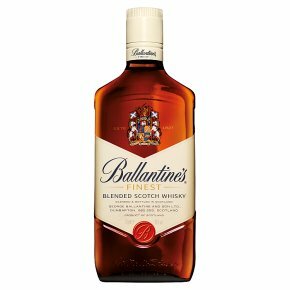 Start off your night with the original of the Ballantine's Family - Ballantine's Finest blended scotch whisky. We've stayed true to the original recipe since 1910, blending 40 different whiskies in each bottle. We don't think there's any improving this blend, taste it to find out why. Serving suggestion: There's no wrong way to enjoy Ballantine's Finest, try it with Cola, Lemonade or Ginger Ale - it goes with just about everything so you can drink it how you like. Just grab your friends, some ice cubes and get mixing. Enjoy.